For larger version, right-click and choose "View Image." 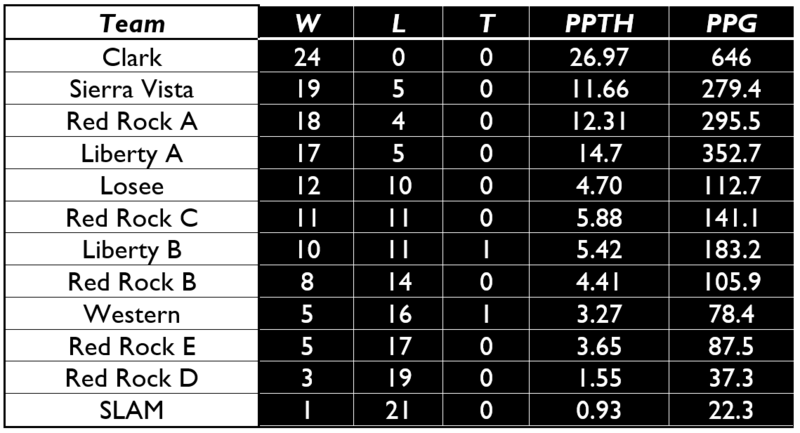 Note: Tiebreaker procedures are as follows: Points Per Tossup Heard (PPTH), Points Per Game (PPG). LVQBA Finalists automatically finish in 1st and 2nd place and earn bids to HSNCT. 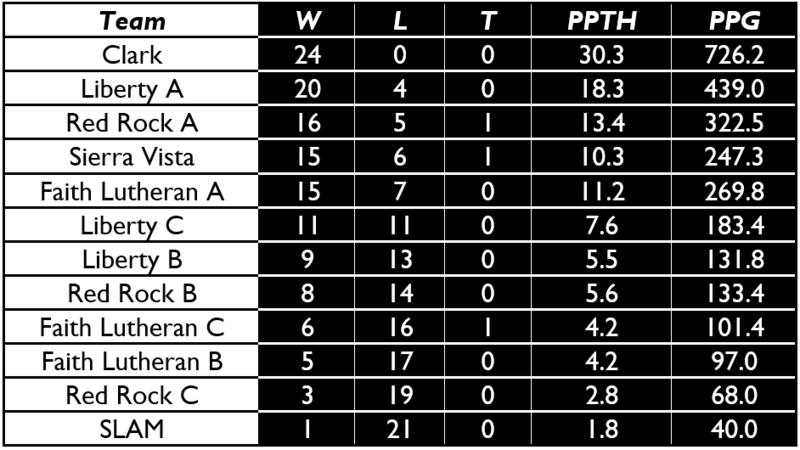 Note: Tiebreaker procedures are as follows: Points Per Tossup Heard (PPTH), Points Per Game (PPG). LVQBA Finalists automatically finish in 1st and 2nd place.